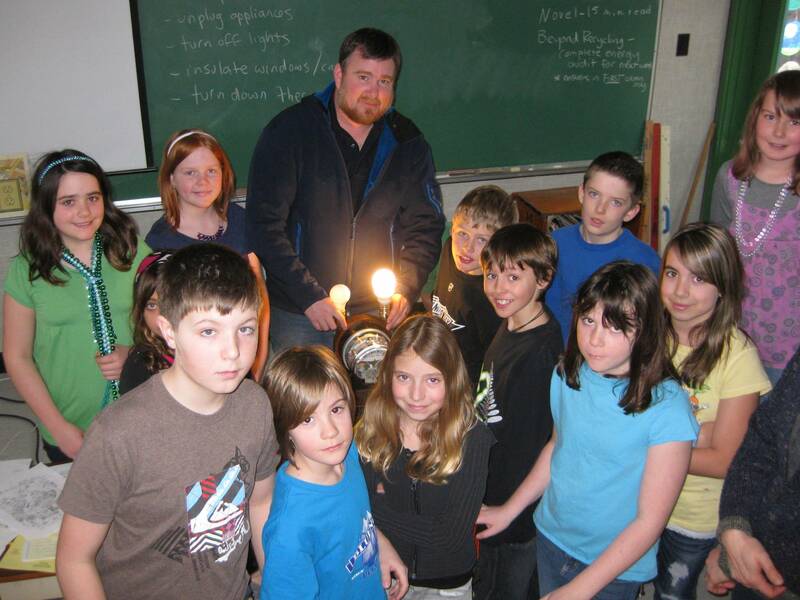 Students in John Schnare’s class at Rosemont Elementary School were joined by Blair Weston of Fortis BC on Wednesday, as they learned about ways of saving energy in their homes. The lesson was part of Beyond Recycling, a 20-week program in environmental awareness and action delivered by Wildsight. Fortis BC is one of the funders of the program. For more information, please call Wildsight Education Program Manager Monica Nissen at (250)352-6346 or visit www.beyondrecycling.ca.